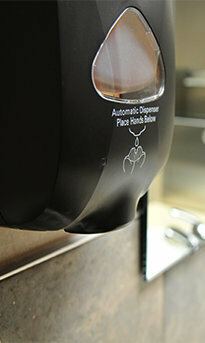 Touch-free hygienic hand washing, antimicrobial foam soap with pre-measured amount of soap (faucet or wall-mount style). Sensor operated faucets provide reliable, long-lasting performance. Sensor-operated flushometers offer hands-free operation of toilets and urinals. 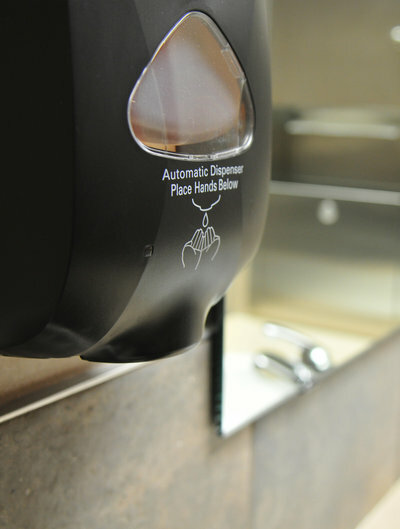 Touch-free operations of paper towel dispensers or automated hand dryers, many styles and options for different situations. New install or replacement partition installation, offering economy, styling options and warranties on most products. 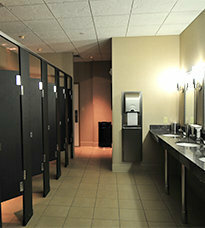 Including mouthwash, hand lotions, high quality hand drying towels, etc.